Looking for a little luxury when you fly next? Do you always hope that the Cabin Crew greeting you at the door on boarding, ask you to turn left towards the pointy end of the aircraft. Perhaps turning right when boarding an Air New Zealand flight next, you may just find that little piece of luxury without pulling the purse strings too tightly. Yes that’s right even travelling in economy you may just find yourself feeling a little more luxurious and comfortable. Introducing Air New Zealands Skycouch in Economy Class. This ingenious initiative was introduced in 2010. The Air New Zealand Skycouch is available on all flights to North and South America on the Boeing 777-300, 777-200 and 787-9. 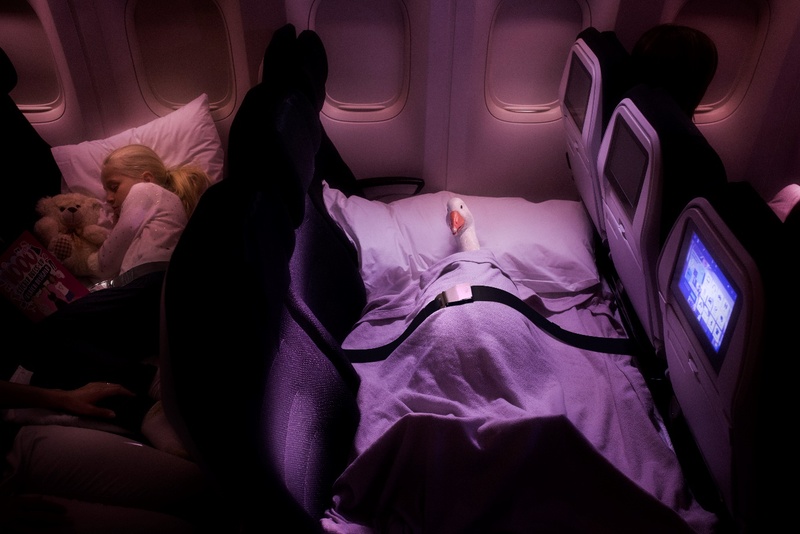 Allowing families or couples a more comfortable flight. The Air New Zealand Economy Skycouch is a row of 3 economy seats that can be turned into a couch after take off. 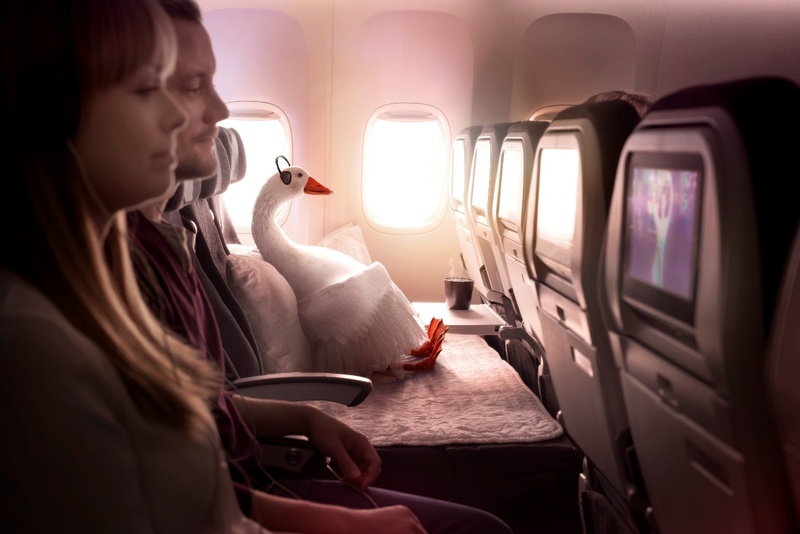 Allowing you and the kids to stretch out, sit back, relax and enjoy the Air New Zealand gracious hospitality. Pillows, blankets and a light thin mattress are also provided to ensure that you are as comfortable as possible for the journey ahead. The full length of the Skycouch is 1.55m (5ft1”) with the side wall arm rest up. And when the cushion and leg rest are combined the approximate depth of the Skycouch is 74cm (29”). Any extra space in economy is always well received. To me the option of the Skycouch when travelling with little ones sounds very appealing. The couch can be used as a comfortable play area for the kids or watch movies together, and when they are ready for a much needed nap the couch becomes a comfy bed. The leg rest of each seat acts independently of one another. 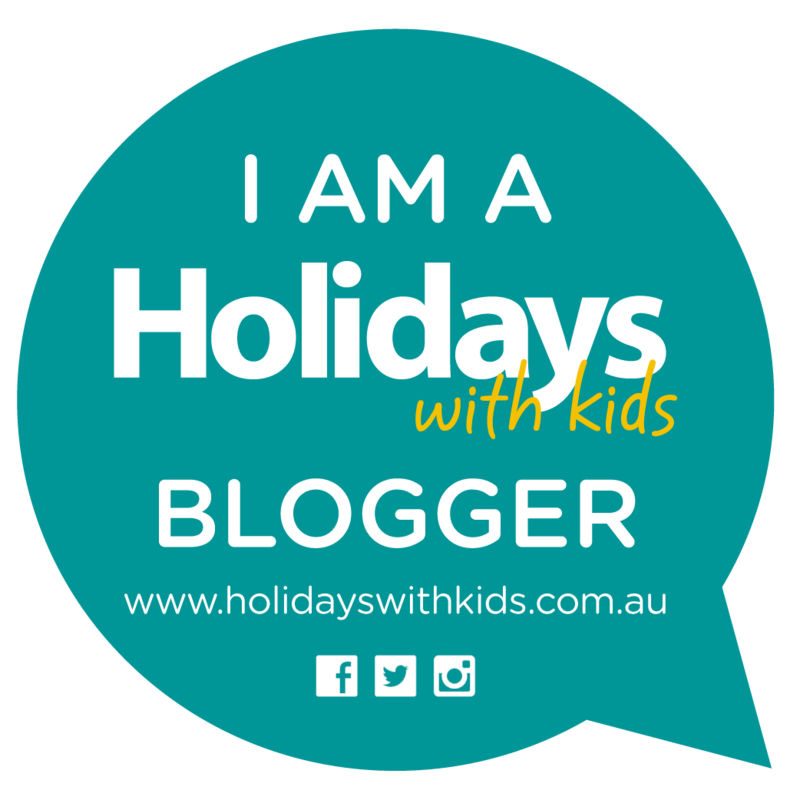 This allows you the option to sit up and enjoy the inflight entertainment whilst the kids are stretched out enjoying some rest. 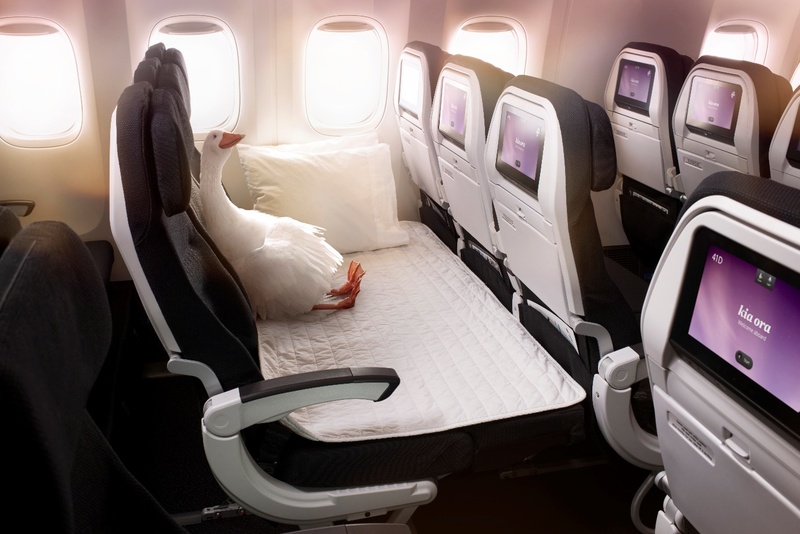 A full Economy service is included when purchasing an Air New Zealand Economy Skycouch fare. 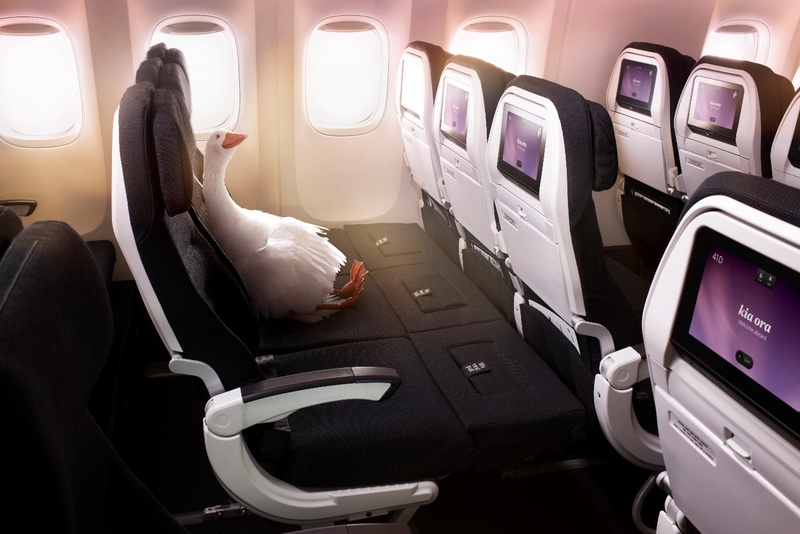 The Air New Zealand Economy Skycouch is available on all Air New Zealand flights to Vancouver, Los Angeles, San Francisco, Honolulu, Houston and Buenos Aires. 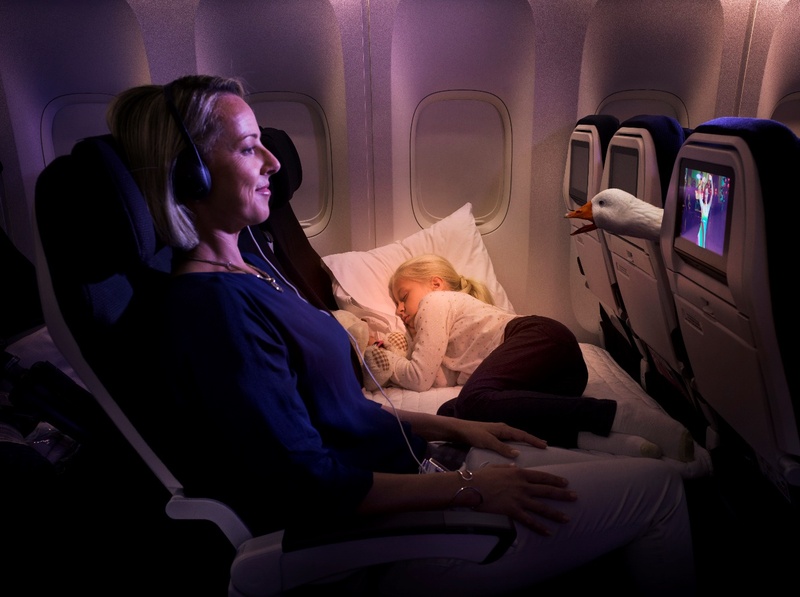 When planning your next family holiday to North or South America from Australia or New Zealand, it may be just worth your while to spoil yourself and the family with an Air New Zealand Economy Skycouch. Remember happy little flyers makes for a happy little family.